A Westwood Bungalow. Good little house. Conveniently situated 1 block off Portage ave between Rouge and Westwood. 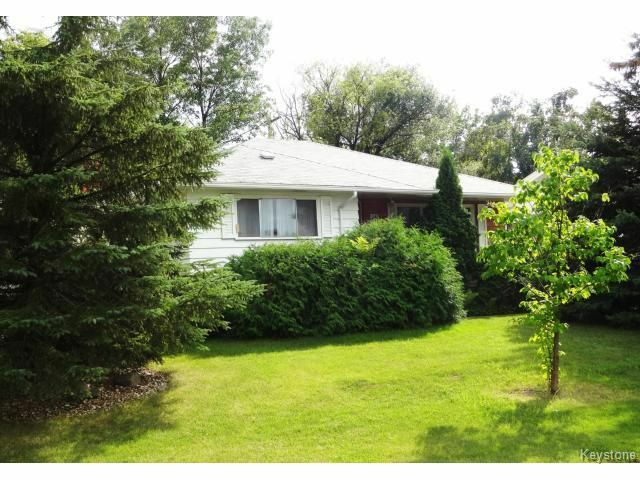 You can walk to Tim Hortons or the multiple shops and conveniences of Portage Avenue. Despite the convenient location, there is very little traffic noise. Comes with a single garage, and front drive, nice backyard with a deck and flower garden. No back lane to further keep the traffic noise down. Attractive curb appeal, Open kitchen/dining room concept, oak hardwood floors, open kitchen, two bedrooms on main floor and full basement with office (former bedroom),, two full bathrooms, tons of storage, basement recroom and more! Needs some updating,...call the Westwood realtor today!